A self-managed super fund (SMSF) is a way of saving for your retirement. It is different from a regular super fund as the members are usually also the trustees. This means the members make the investment decisions for the fund and are responsible for complying with the super and tax laws. Your fund is required to meet all administrative and reporting obligations on time. This includes lodging SMSF returns, transfer balance cap reporting, trustee declarations for any new trustees and appointing an approved SMSF auditor. Transfer balance cap – As of 1 July 2017 there is a limit to how much super an individual can transfer into retirement phase, which has created more compliance work for SMSF trustees. The sole purpose of an SMSF is to provide retirement benefits to the members or their dependants. You will not be able to get early access to your super or buy a dream holiday home through the use of superannuation funds. These things are illegal. 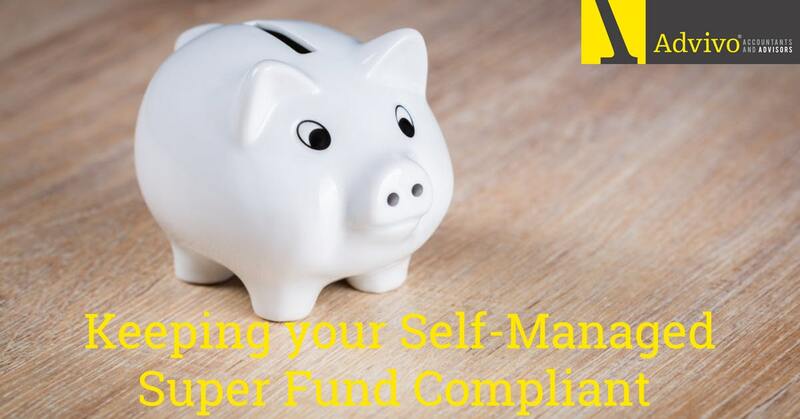 As a trustee of an SMSF you can accept contributions and rollovers for your members from various sources, but you must adhere to the super contribution rules. There can be some restrictions, mostly depending on the contribution caps and each member’s age. Before any investments are made you must have an investment strategy. This defines your Fund’s investment objectives and specifies the types of investments your fund can make. Your investment strategy should be in writing and must be reviewed regularly to ensure it continues to reflect the purpose and circumstances of your fund and its members. Your SMSF trust is a special type of trust that is created for the sole purpose of providing retirement benefits to its members. The trust deed includes such things as the fund’s objectives, who can be a member and whether benefits can be paid as a lump sum or income stream. The trust deed and super laws together form the fund’s governing rules. Once your SMSF trust deed has been created it is important that it is regularly reviewed and updated as necessary. At Advivo, we have a dedicated Superannuation Division to provide you with simple, leading-edge solutions; allowing you to make the right choice with respect to your superannuation needs. Our dedicated team of accountants and superannuation specialists provide expert advice about the tax advantages of superannuation and will guide you every step of the way with your SMSF. SMSFs are not for everyone and should only be considered when the fund is of an appropriate size. If you would like any further information on SMSFs please register and come along to our free event ‘Speed Dating with the Business Experts’ and speak directly with Advivo’s in-house SMSF compliance expert and many others! For those who are unable to attend and would like to know more please contact us today on 07 3226 1800 or message us through our Contact page.